﻿Bruce Goodman's "Barbara plants a walnut"
Barbara had an expansive lawn. She didn’t know much about gardening or plants or trees and stuff, but she thought, “This sprawling lawn needs a tree”. It was a long dry summer. The lawn was parched. Nonetheless Barbara decided to plant. Should she perhaps plant an oak tree? Or maybe an elm? Perhaps a maple? Or a walnut? A walnut it was! It would provide some shade, and she would get nuts off it as well. 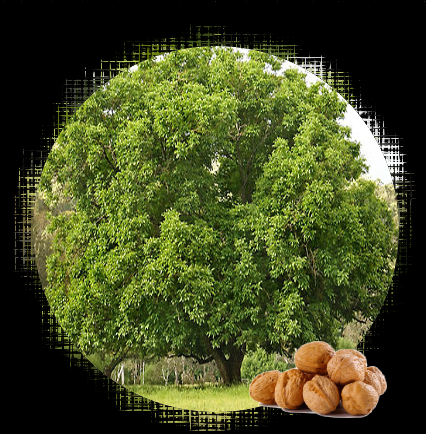 Off she went and bought a walnut tree, from the walnut tree shop. Little did she know that in eighty years’ time a branch of the walnut would crash to the ground and kill three children and their grandmother. Every evening, during the arid, dry summer, Barbara would dutifully fill a watering can and water her tree. Fate used her devotion as an act of murderous intent.